Volunteer Vacations: You're familiar with the volunteer vacation. Go somewhere, enjoy your destination, and lend a hand. 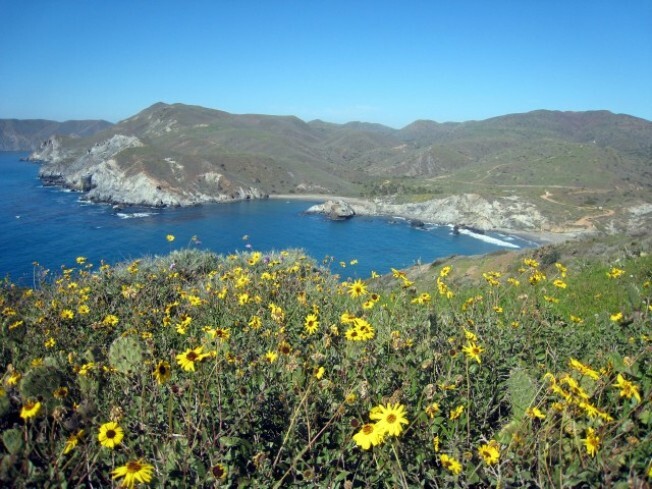 The Catalina Island Conservancy hosts two different versions. Adventurer: You'll participate in projects like "plant removal on steep slopes"; talk about adventure. There are moderate and much more challenging tasks, depending on what you're up for. Dates and details: There are two upcoming adventure weeks: September 13-18 and October 25-30. You'll bed down in a tent complete with an outdoor kitchen, hot showers, and flush toilets. Luxe, truly. Cost is $180/person. Explorer: The other Conservancy volunteer vacation option gives travelers the chance to peek at not-often-seen island nooks, and help out in various ways. This is less adventurous than the Adventurer, but still involved with the nature and ecological outlook of the island. Dates and details: It's a Monday-Saturday deal, and the Conservancy needs a three-week lead time to prep for your arrival. Cost is $249/person, and there are lots of details regarding food and clothing and brings/don't-brings. Buffalo: Because we've vowed to never write about the island without mentioning the behooved superstars of Catalina. Maybe you'll even see some bison taking a dust bath, or rather wallowing, while there. A special treat, the wallowing. Adventurers and explorers alike love it.